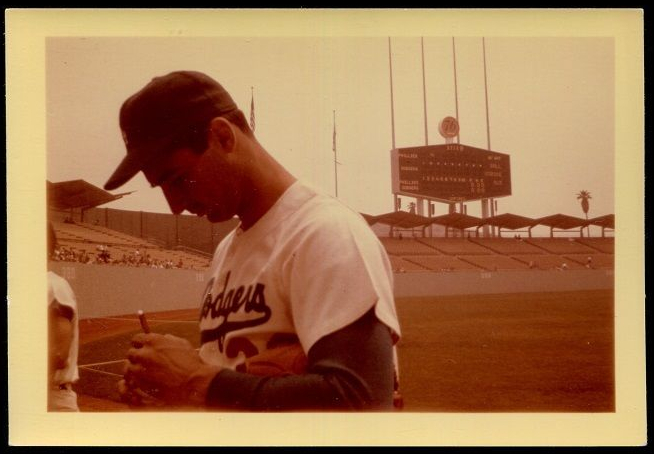 It's been awhile since I've dived into the further reaches of the eBay marketplace to find some vintage fan-taken photographs, so when I came across these stills I knew I had to share them here. 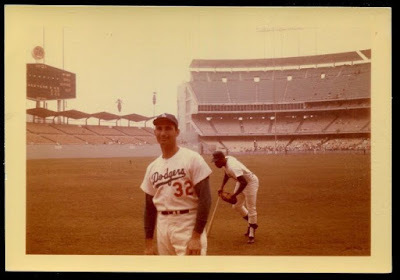 Featured are a couple of snapshoots of Sandy Koufax, circa 1960's. Unfortunately, a specific date isn't provided. The pic at the very top features a posed Koufax standing along the left field line (auction link here). I am unsure who is standing, stumbling, in the background. This photo makes me wonder if this was originally taken during an fan photo day. Below is Sandy signing a Baseball for a lucky fan (auction link here). I wonder if the fan still has this ball.